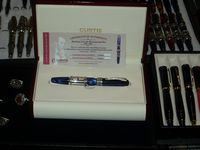 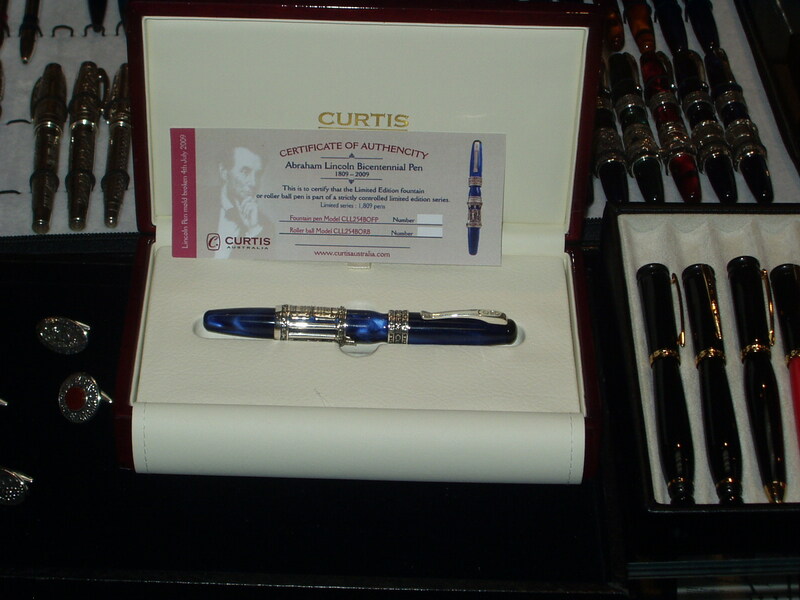 The Abraham Lincoln Bicentennial Pen. I thought was a really beautiful pen. 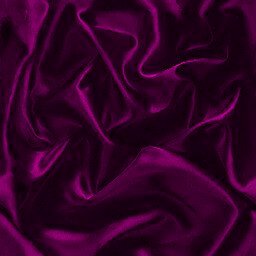 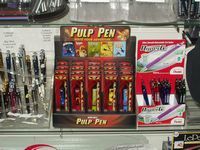 Kind of an interesting tribute to pulp magazines. 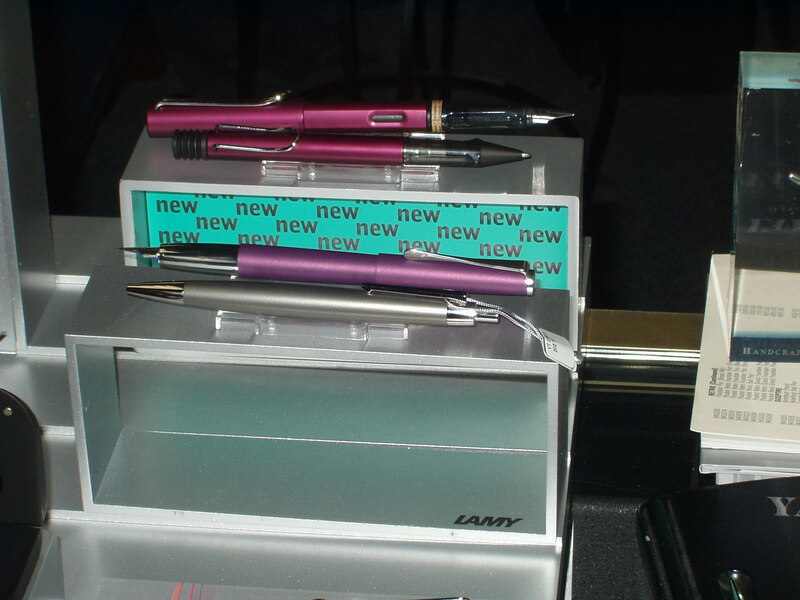 The new Lamy AL-Star black purple pen, and the Lamy Studio violet pen. 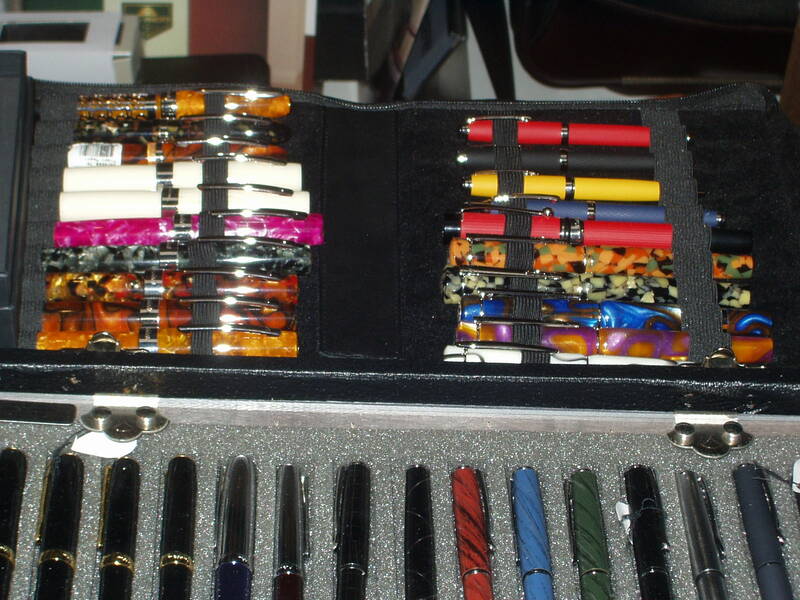 Both are a little darker than in this photo, and both are very nice-looking pens. 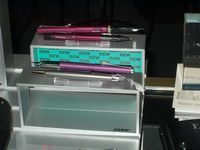 Of the various pens that I have, I find the Lamy pens to be the most comfortable to write with and the ones I get the best results from. 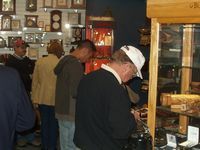 There weren't as many people there as there were last year, but it could have been just the time we went. 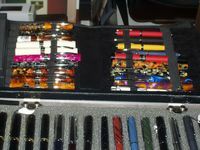 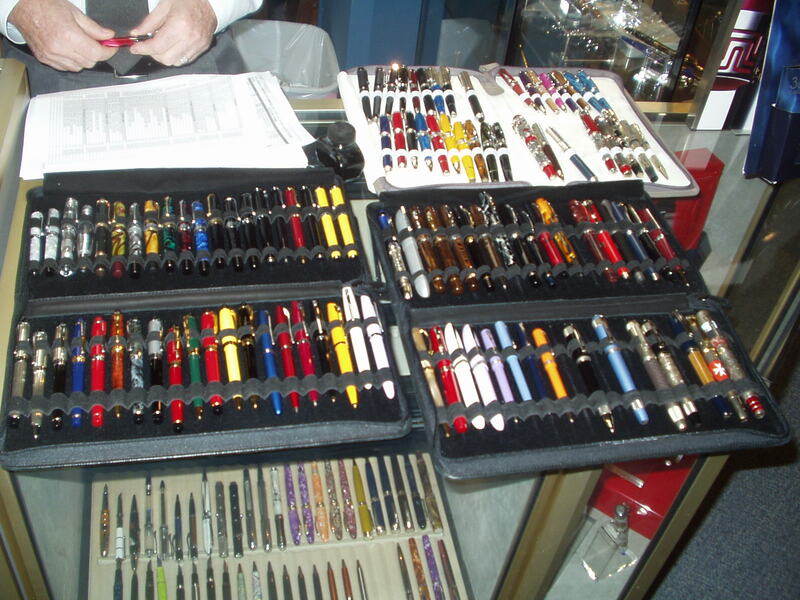 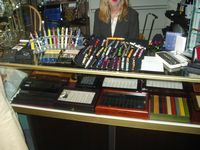 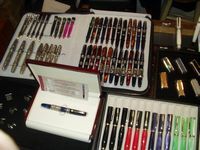 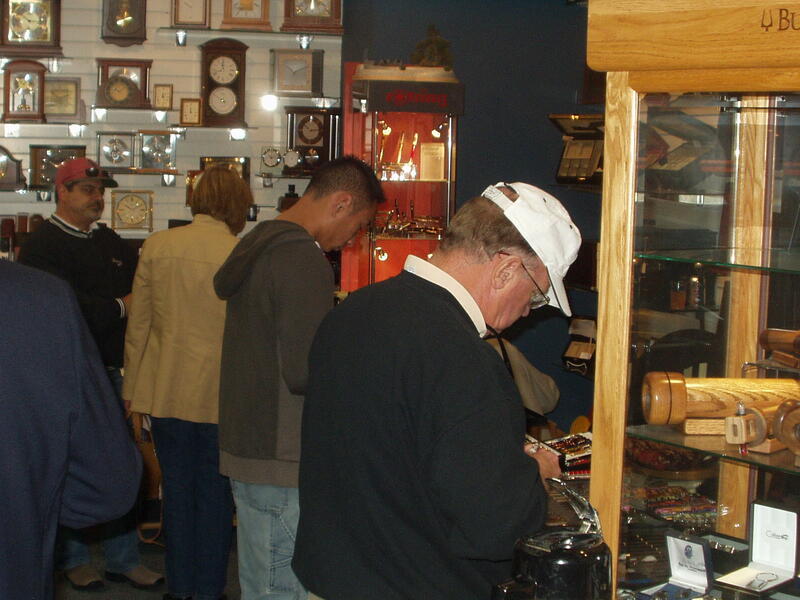 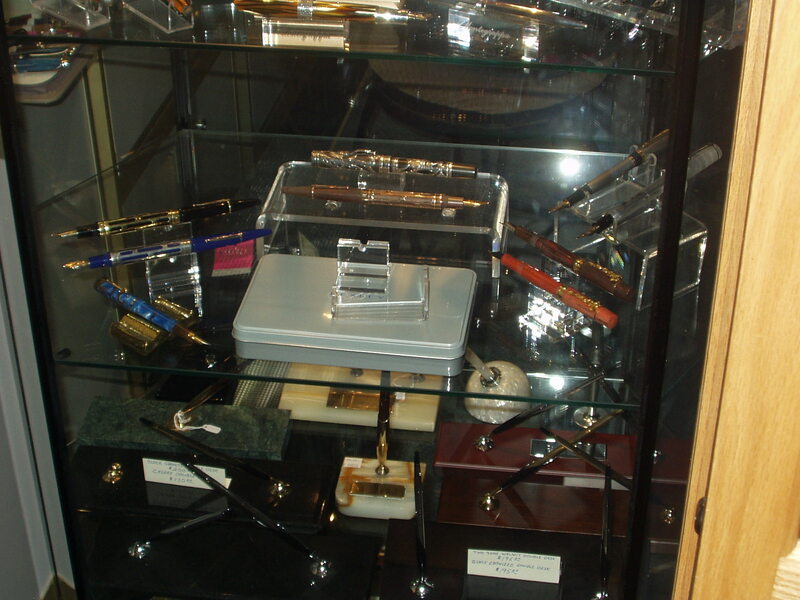 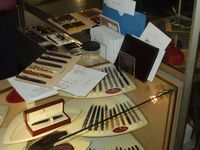 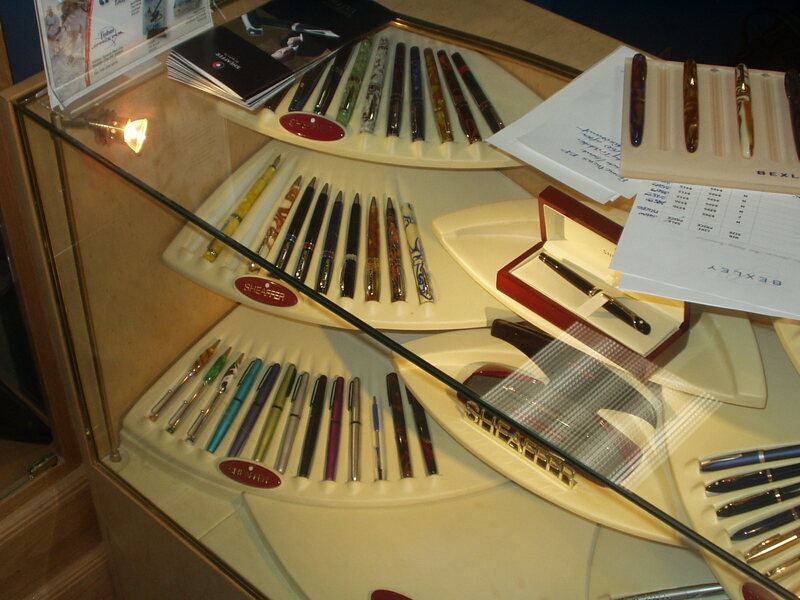 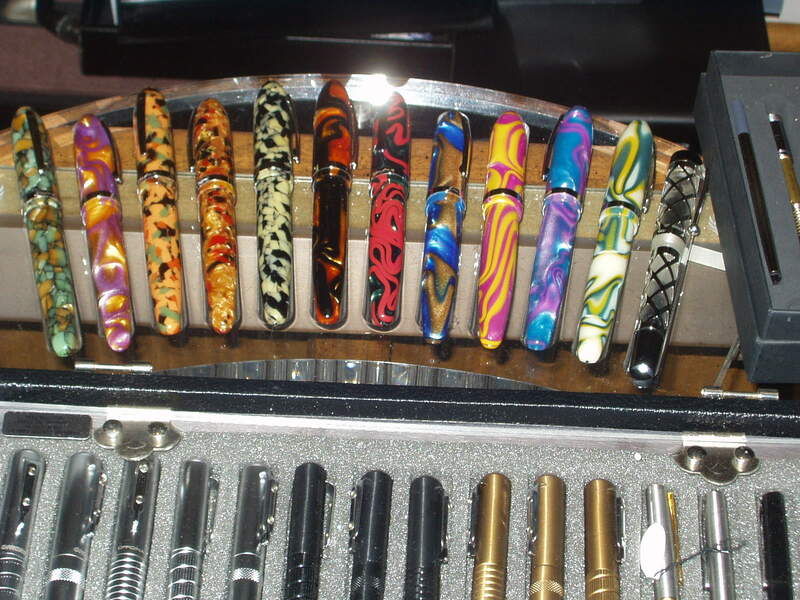 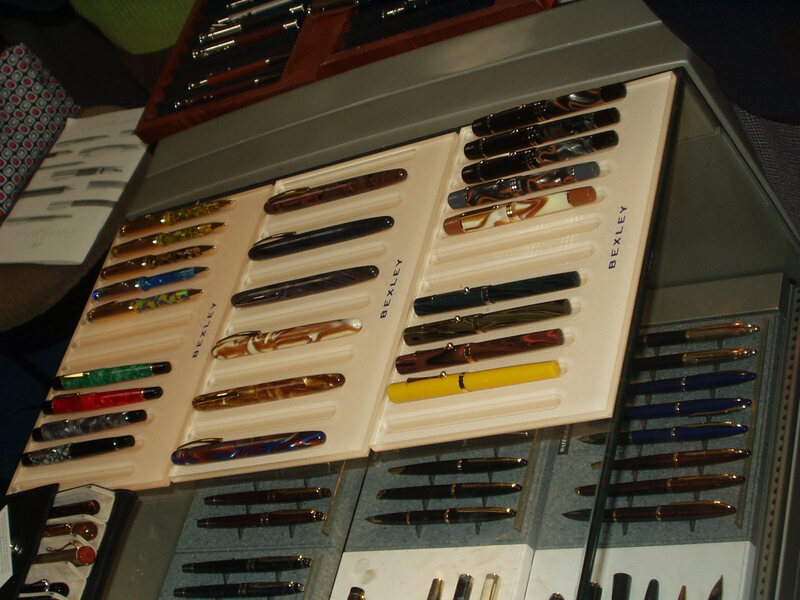 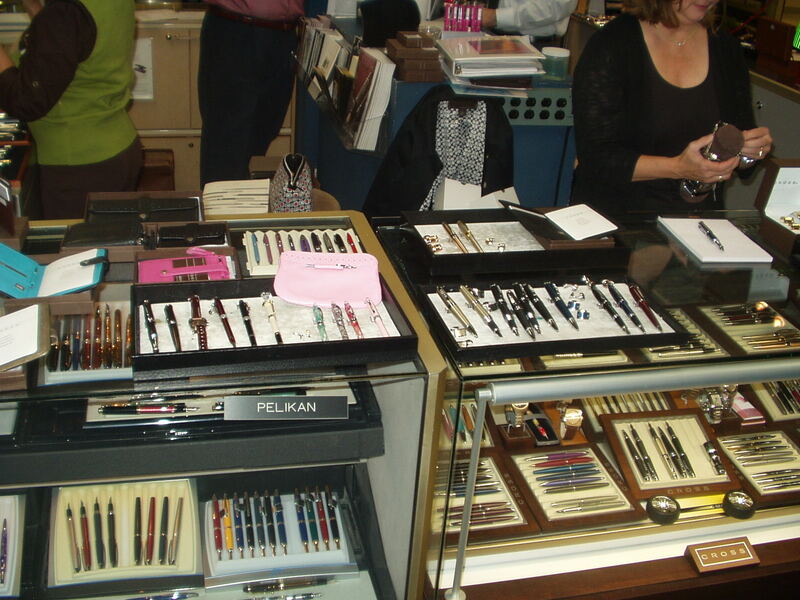 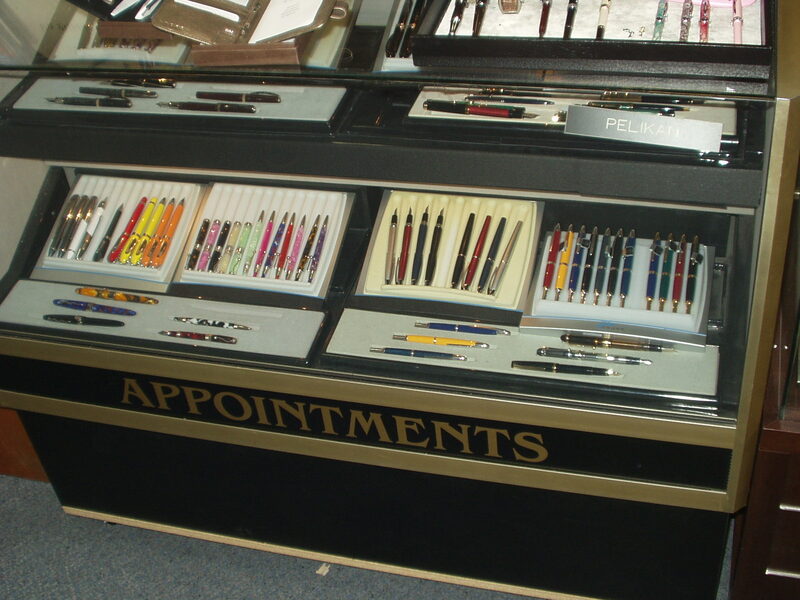 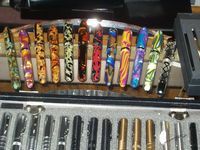 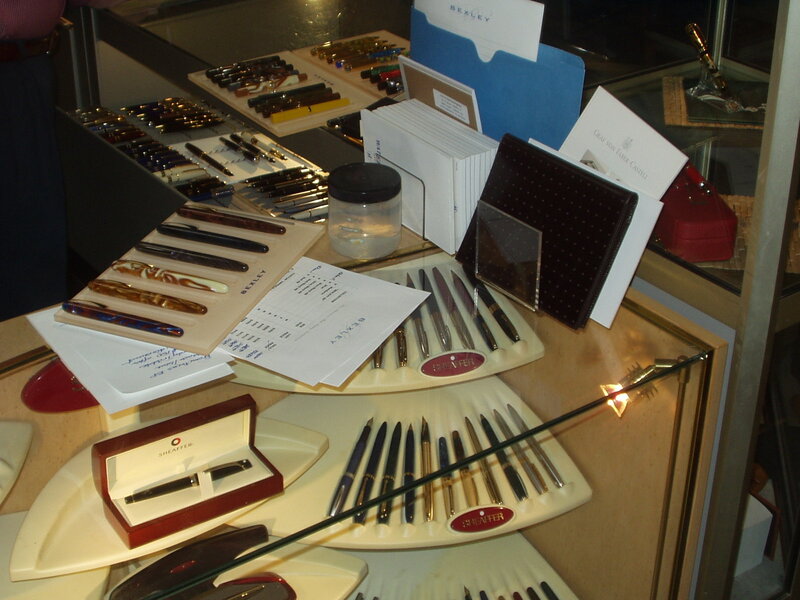 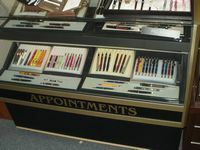 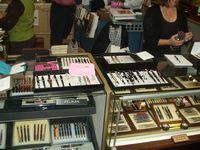 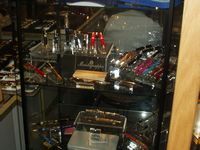 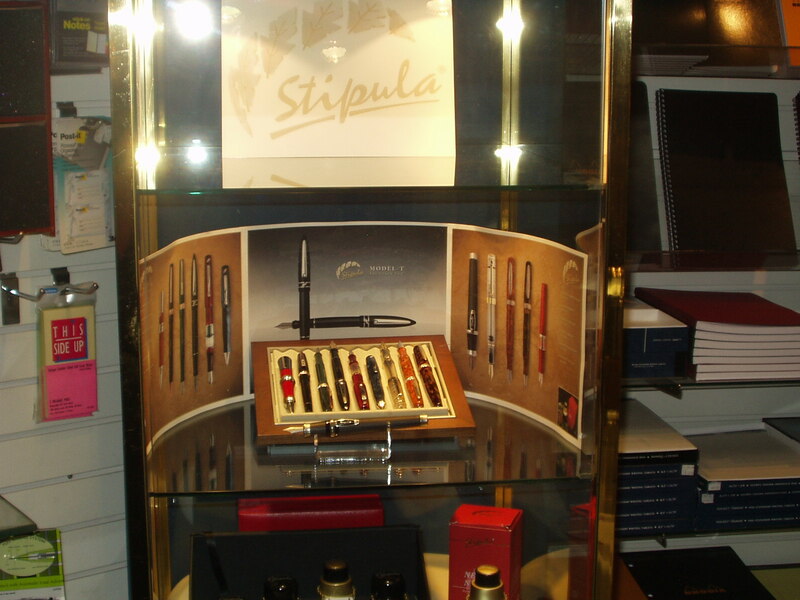 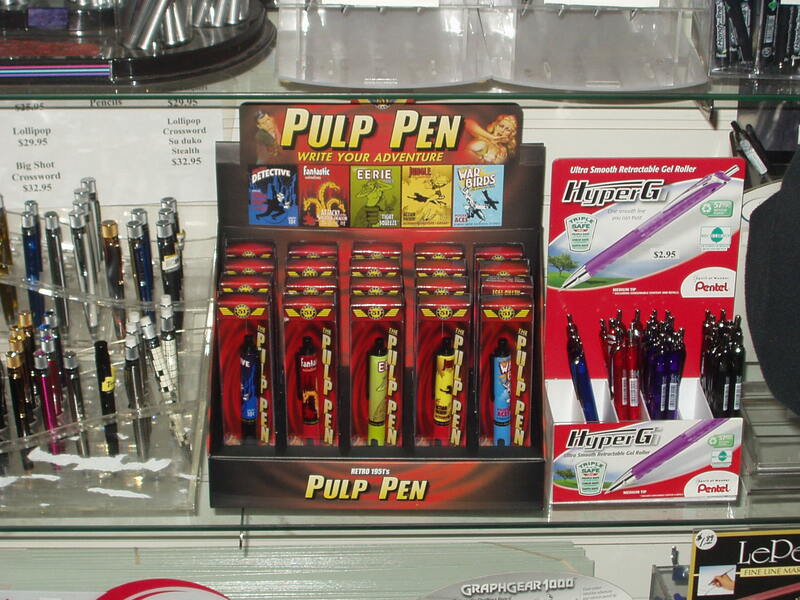 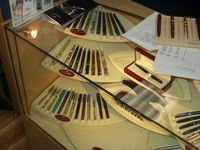 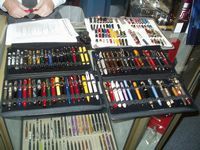 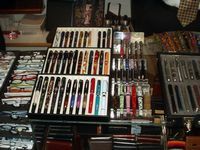 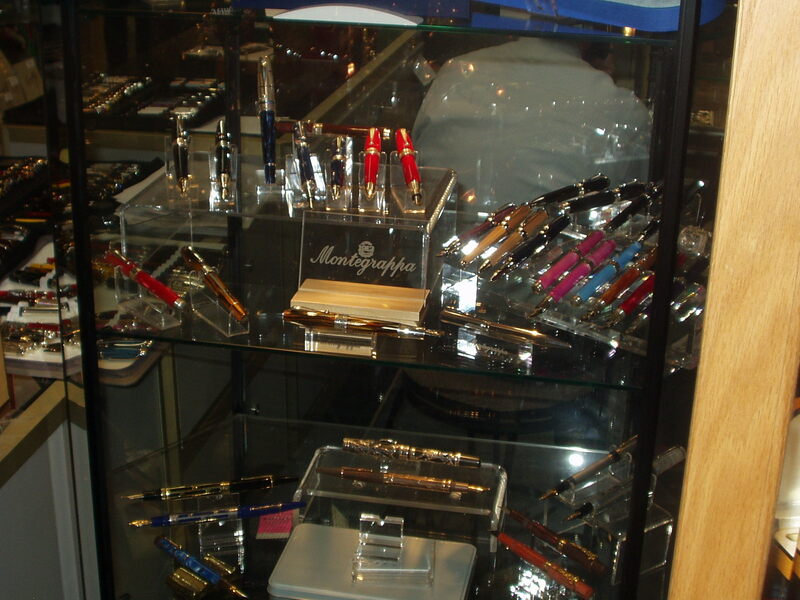 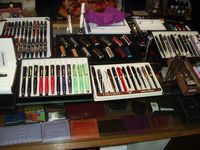 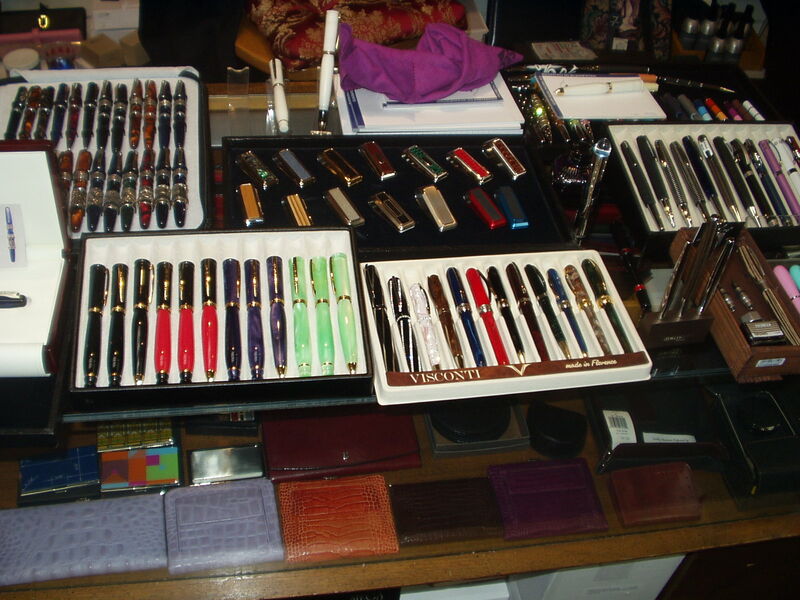 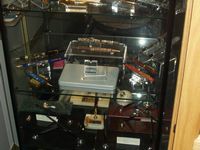 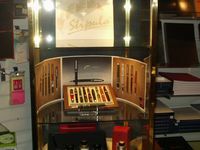 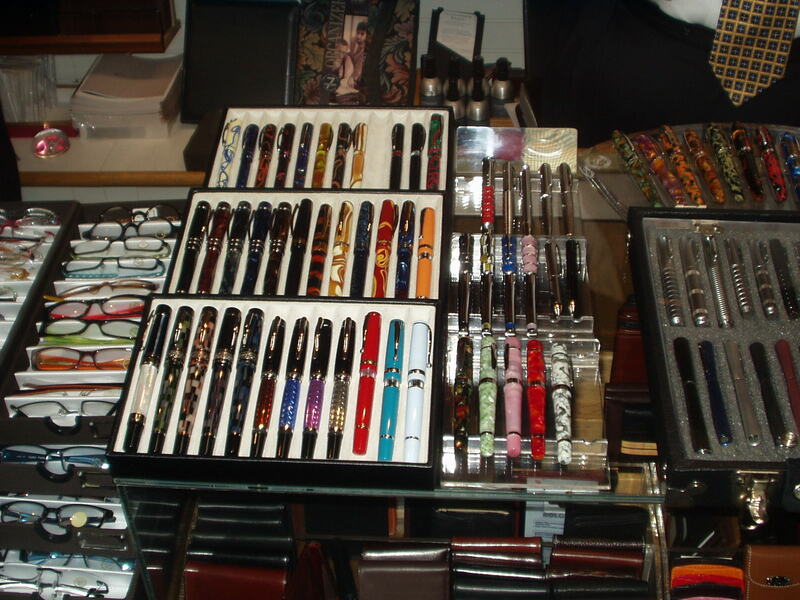 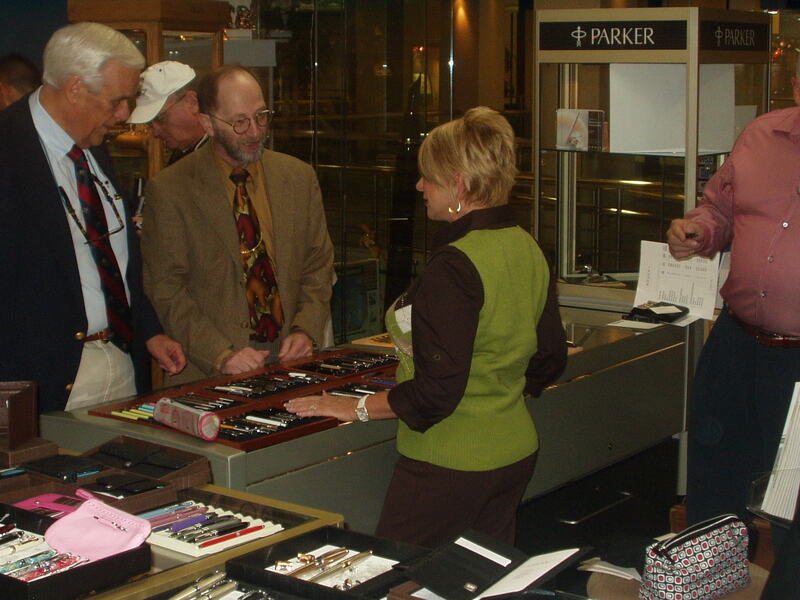 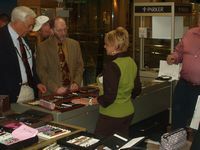 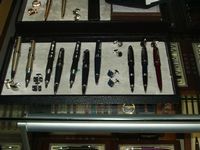 Appointments is our downtown pen store and has been there for a long time. 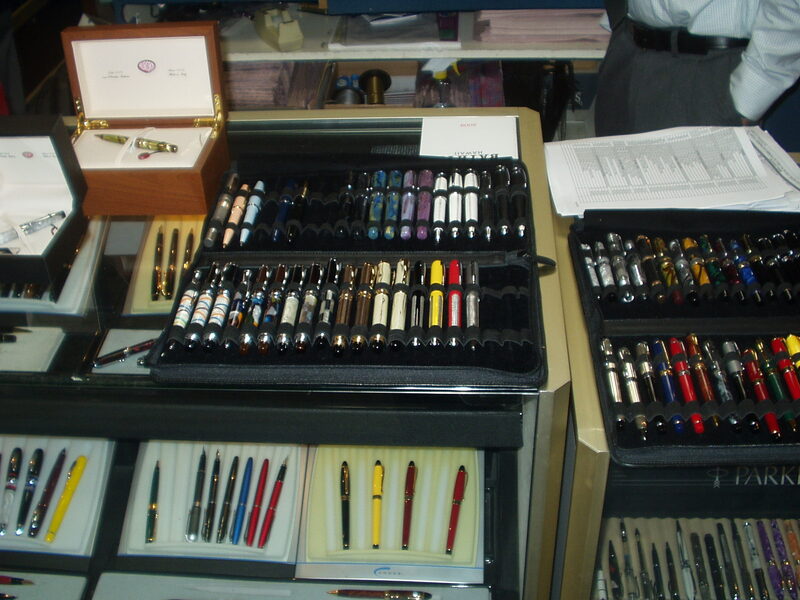 I've gotten stuff from them before, and the two guys that work there are always friendly and quite knowledgeable about pens and willing to take the time to talk to anyone. 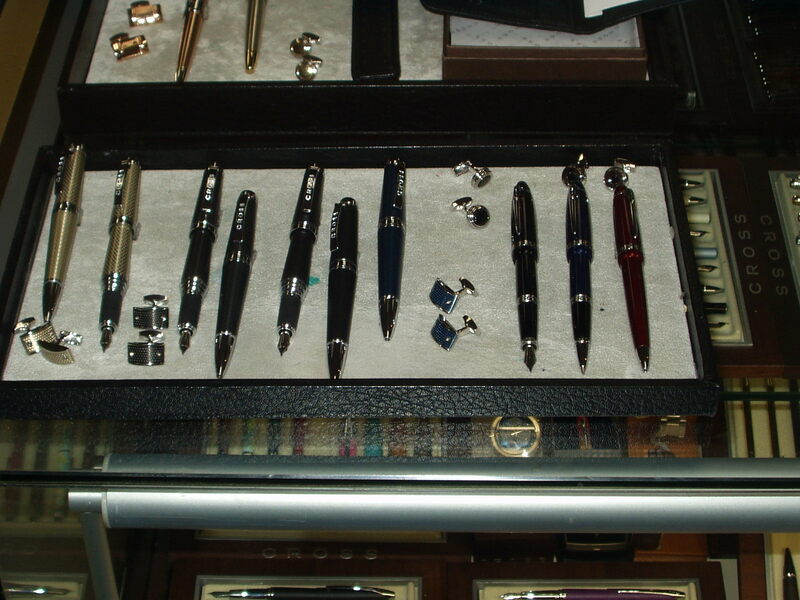 You don't have to be dressed like a fancy businessman in order to be treated decently.